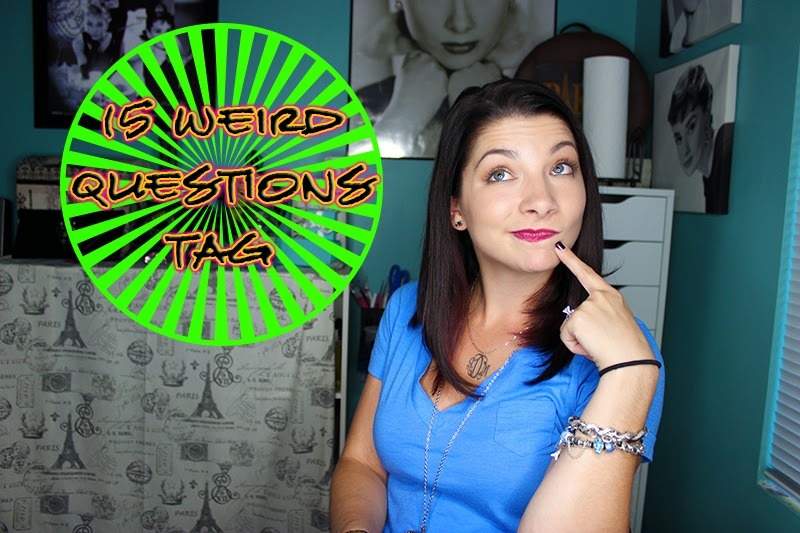 We're getting weird for this week's Film Friday with the 15 Weird Questions TAG! What's your favorite comfort food that's 'bad' but you love to eat it anyways? I love the "Stan"! That is hilarious and completely a dad thing. I am really bad at cleaning my beauty brushes too and I always tell people it's the most important. I need to start taking my own advice, haha! You did really well; those are some tough questions!! I had to think about a few of them for myself. You can learn so much about a person with these tag videos. Love the story about your dad. Great questions to really get to know a blogger. It took me a few minutes to come up with answer myself. Fun questions. #5 - Grammar mistakes drive me crazy. I love cute questions that reveal more about people I follow. It's hard for me to live without ice cream as my comfort food. Ha this is so cute. I love getting to know bloggers but sometimes the questions can be tired, you know? I love this though! I used to love to do these!